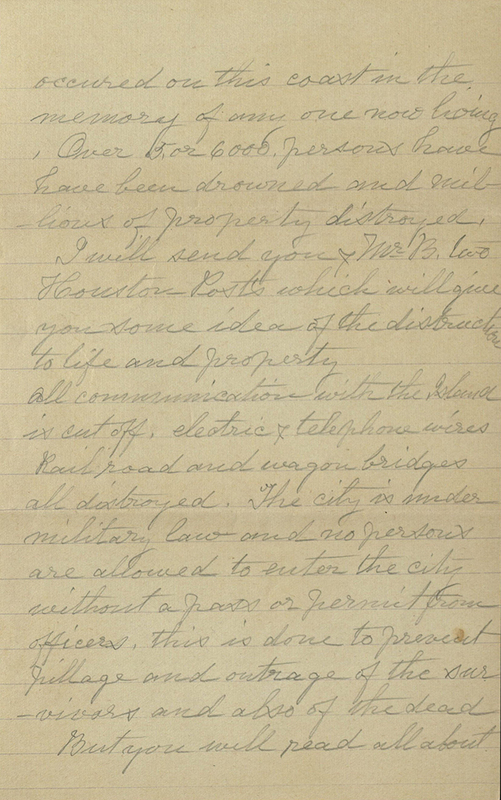 This letter from Elizabeth Thatcher recounts the grim aftermath of the 1900 Galveston storm. One of the worst national disasters in United States history, Thatcher gives an eyewitness account of the aftermath of the storm: thousands of people dead, all communication to the island cut off, and the city placed under martial law. Galveston Storm letters, 1700, box 1, folder 1. Contains research, teaching, and personal materials of noted Southern folklorist Dorothy Scarborough, who taught English at Baylor University for ten years. Two letters describing the Galveston Hurricane of 1900, one of the deadliest natural disasters to affect the United States. Materials include documents relating to Mann’s professional career in the United States State Department as a Foreign Service diplomat. 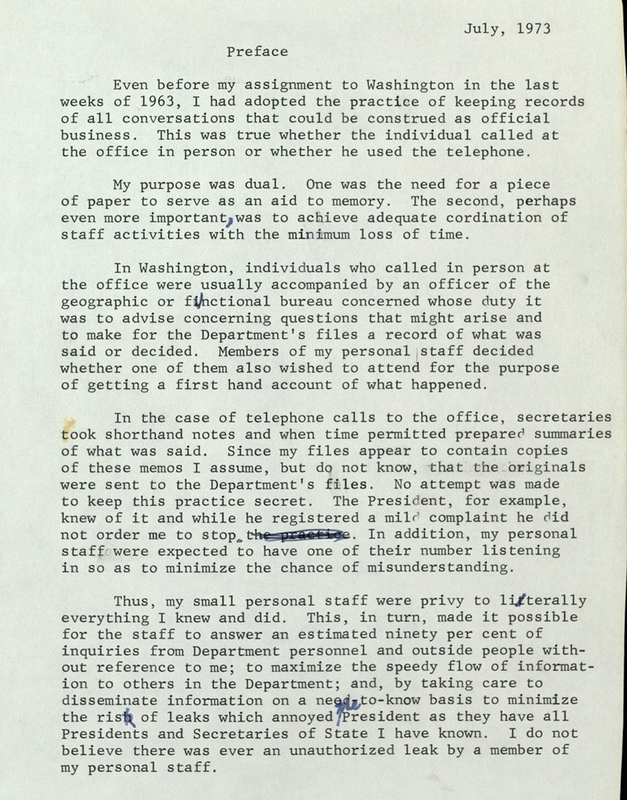 This document is a preface to Mann’s Memos of Telephone Conversations books and explains why he kept written records of all telephone conversations generated by his office while working for the United States government. Thomas C. Mann papers, 2461, box 16, folder 2.